I made it to the shore and stood atop a platform where an elevator transports passengers to the beach. I scanned the sky, looking across the sea, searching for the moon. I turned around away from the sea and gasped. There it was, full and sitting low on the horizon, glowing red from the setting sun. It brought to mind Cosmo’s moon in the movie Moonstruck. And yes, it was full. No shadows crossing its face. What? Did I miss it already? Couldn’t be. It’s supposed to be one of the longer eclipses, lasting about 100 minutes. I headed back home and hopped on the internet. Ahhh… The eclipse would be at its greatest at 8 p.m. UTC time which is 11 p.m. Tel Aviv time. Time to relax before the big event. 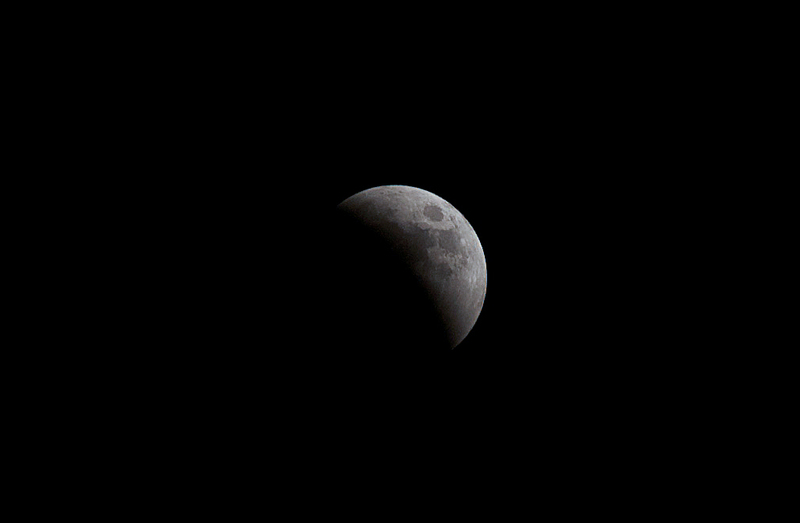 I popped outside between 9:30 and 10 p.m. and caught the beginning of the eclipse. It was a wonderful sight even though I was simply standing on a street corner and not along the shore of the Med. I went back inside with intentions of catching the final stages of the eclipse a little later. 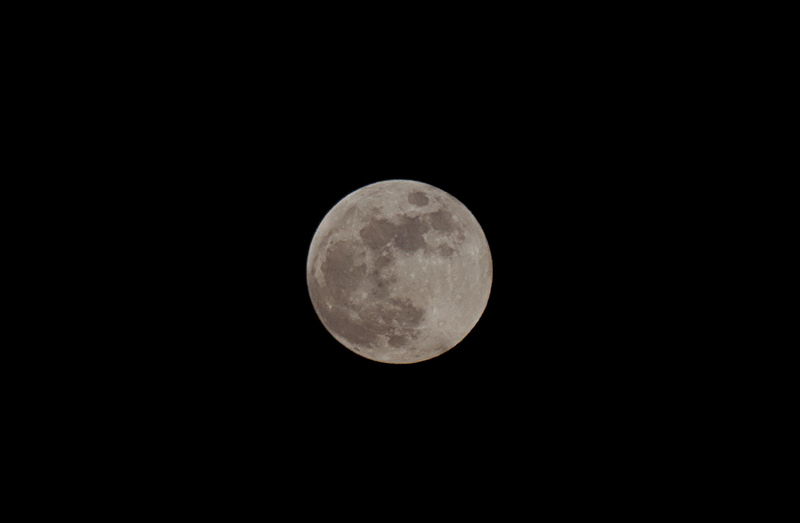 But fifteen minutes later clouds had rolled in, obscuring the moon. But we had a front row seat here in Tel Aviv.